Mumia Abu-Jamal is a journalist and political prisoner that was convicted of murdering a police officer in 1982. 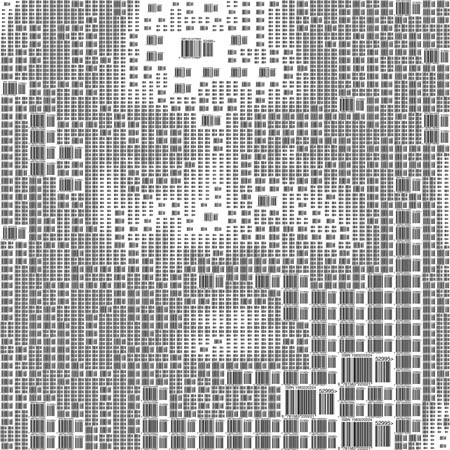 For my barcode portrait I appropriated Mumia's face from the Internet, collected all of the ISBN numbers from online bookstores, and created the barcodes using a free generator. I copied the barcodes from books and CDs that Mumia has made in prision as well as books written about him by other authors. I also built the final mosaic with four different grid sizes that change according to detail.